Couture Bridal Photography is the top rated american destination wedding photography studio for destination weddings throughout Puerto Rico. Founder and principal photographer Alfredo Valentine is one of the top rated award winning wedding photographers most trusted for elegant, romantic and timeless destination wedding photography in Puerto Rico, Vieques and Culebra. As one of the best rated photographers in Puerto Rico, Couture Bridal Photography offers the most spectacular wedding and bridal portrait photography as the most scenic locations for the ultimate destination wedding photography experience. Couples planning their destination weddings in Puerto Rico choose Couture Bridal Photography as the most prolific wedding day story teller to tell their wedding day love story with emotional story telling images with impact. Using a unique and distinct style of wedding photography that captures every detail, emotion and fleeting moments in the most unobtrusive manner is the reason, Couture Bridal Photography is the #1 professional wedding photography studio for destination weddings in Puerto Rico. Getting married in Old San Juan is one of the most magical experiences a couple hosting a destination wedding in Puerto Rico can encounter. Cobble stone streets, historic buildings, along with the oldest cathedral in the western hemisphere makes Old San Juan one of our favorite locations to photograph destination weddings in Puerto Rico. As one of the top rated professional wedding photographers most preferred at the Hotel El Convento across from the San Juan Bautista Cathedral, we offer the experience and knowledge to create the most spectacular portraits highlighting the historic beauty of Old San Juan while highlighting each Puerto Rico destination wedding bride and groom. Our distinct style of artistic documentary wedding photography is the perfect style of wedding photography to create the most spectacular images at El Morro, EL Castillo De San Cristobal and many other amazing locations throughout Old San Juan that are just short walks from anywhere in Old San Juan Puerto Rico. To add to our Puerto Rico Destination Wedding Photography experience, we are one of the very few professional wedding photography studios able to create some of the most incredible images at night throughout Old San Juan to capture the true charm and beauty of this island gem. Booking Couture Bridal Photography for your Puerto Rico Destination wedding is the best choice you can make if getting married in Old San Juan. Condado san Juan is the modern area of San Juan Puerto Rico with a variety of resorts, hotels and shops. Couples getting married in Condado San Juan Puerto Rico will typically be having their Puerto Rico Destination wedding at La Concha Resort, Condado Vanderbilt Hotel, Condado Plaza Hilton, Sheraton Puerto Rico Hotel & Casino, Marriott San Juan Condado and San Juan Marriott Resort & Stellaris Casino. These are the most popular hotels and resorts in Condado where couples choose for their Puerto Rico destination wedding. 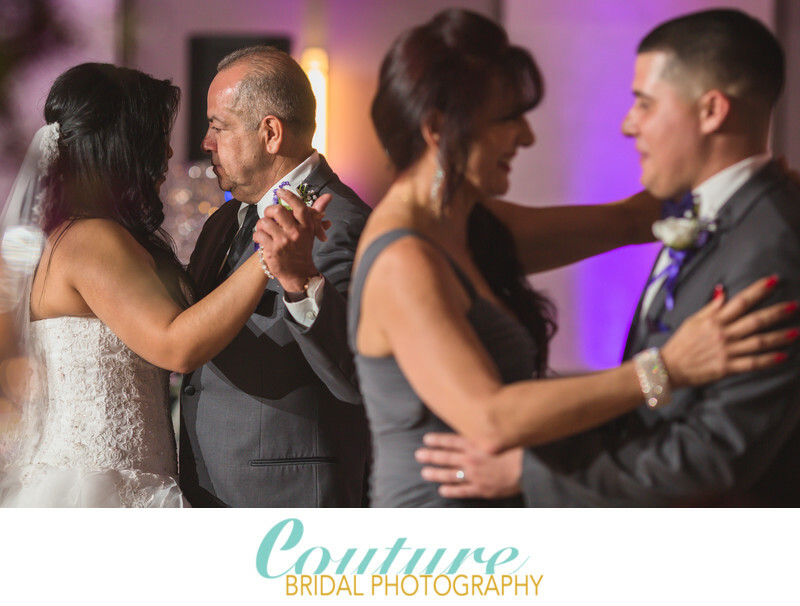 Couture Bridal Photography is the best rated award winning wedding photography studio serving Condado San Juan Puerto Rico. As the best Puerto Rico Destination Wedding Photography Studio, we offer the most comprehensive destination wedding photography coverage in San Juan Puerto Rico. We are the best wedding photographers in Puerto Rico providing the ultimate destination wedding photography in Condado San Juan Puerto Rico. Another popular location for destination weddings is the Isla Verde area of San Juan Puerto Rico. Located just a few short minutes from Luis Muñoz Marín International Airport, also known as San Juan International airport. Isla Verde is home to some phenomenal hotels and resorts we love to photograph weddings at. The Isla Verde section of greater San Juan is home to trendy shops, highly rated restaurants and an amazing coastline. We are the most preferred and recommended wedding photography studio chosen by couples planning destination weddings at El San Juan Hotel, Intercontinental San Juan Hotel, San Juan Water and Beach Club and Courtyard by Marriott Isla Verde Beach Resort. As the highest rated professional wedding photography studio serving Puerto Rico, we are frequently in the San Juan Area providing the very best wedding photography in Puerto Rico. Being the best wedding photographers in Puerto Rico allows us to constantly discover the most scenic locations for wedding photography throughout the island of Puerto Rico. Having the experience and knowledge of most of Puerto Rico's towns, cities, hotels and resorts makes us the best choice for destination wedding photography throughout Puerto Rico. One of our favorite locations in Puerto Rico is Dorado. Located about an hour west of San Juan, Dorado is home to the only 5 diamond resort in Puerto Rico. The Dorado Beach Ritz-Carlton Reserve is a resort for those expecting the best and being able to afford it. Located minutes from the home of international celebrity singer Ricky Martin, the Dorado Beach Ritz Carlton Reserve is among one of the most luxurious wedding venues we have been honored to provide wedding photography at for an amazing couple. The Northwest corner of Puerto Rico is home to one of my most favorite areas of Puerto Rico. Isabela Puerto Rico is where I love to spend my time when vacationing in Puerto Rico and where I've found has the best balance of tranquility and adventure when in Puerto Rico. Isabela is also where many couples in the know host their Puerto Rico destination weddings. One of my favorite venues to photograph weddings in Puerto Rico, is the Villa Montana Beach Resort. This amazing location in Isabela offers everything a bride and groom would want and need to host a romantic Puerto Rico destination wedding. Located on the coast where the Atlantic Ocean Meets the Caribbean ocean, Isabela is where the scenery is most amazing. Couples that love spending time in the water and on the beach will appreciate the most amazing waters in all of Puerto Rico. Another amazing wedding venue located in Isabela is the Royal Isabela Hotel that is just spectacular especially at sunset. Many couples choose Hotel Cielo Mar for smaller weddings and elopements on this beautifully appointed resort property. Isabela is the gate way to the most beautiful side of Puerto Rico where only the visitors in the know and full time residents of Puerto Rico go to enjoy Puerto Rico's best characteristics. An absolute favorite location in Puerto Rico where we photograph weddings is in Rincon Puerto Rico. This small town is popular for small boutique hotels, chic ocean front restaurants and bars and great surfing. Rincon Puerto Rico is also home to one of our favorite wedding venues the Rincon Beach Resort. This resort nestled on the beach has a spectacular ocean front, pool with a bar and amazing accommodations. We love being the preferred professional Puerto Rico wedding photographers of brides and grooms getting married in rincon Puerto Rico. On the very west side of the island of Puerto Rico is the city of Mayaguez. Mayaguez is popular for weddings at the Mayaguez resort and casino. This is a little known gem for couples looking to have a spectacular Puerto Rico Destination Wedding at a beautiful location at great rates. Cabo Rojo on the west coast of Puerto Rico is one of the most amazing locations on the island for beautiful wedding portraits, especially at the cliff side lighthouse. Cabo Rojo is a romantic locations for outdoor Puerto Rico destination weddings and elopements. Location: 1055 Ashford Ave. San Juan, PR 00907.